“Leoness Cellars is a hidden gem that offers an ambiance of intimacy and romance. 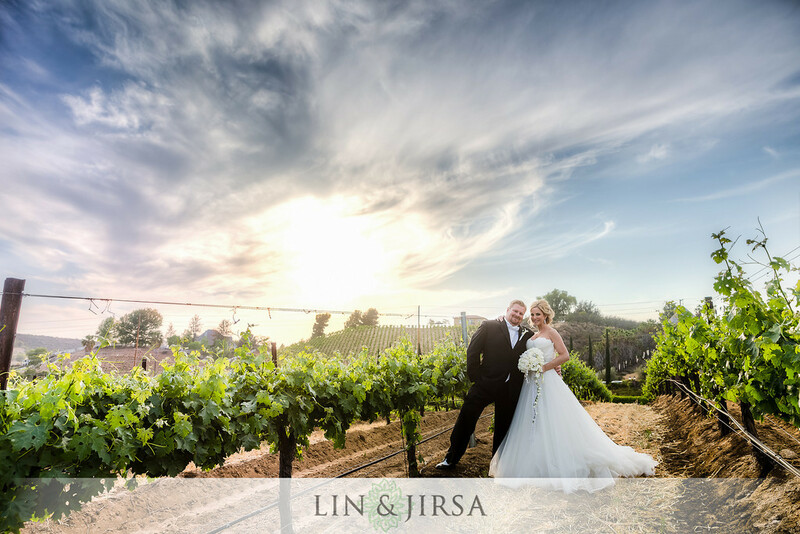 Residing in the center of Temecula Valley’s Wine Country, the French countryside inspired winery with its enchanting architecture, brick turrets and ivy wall serves as the perfect setting to capture your day. With our ceremony site that sits surrounded by acres of vineyards and mountain views and the largest barrel room in wine country, we offer a truly beautiful vineyard wedding. Providing a staff of knowledgeable professionals, award-winning chefs, preferred vendors and breathtaking property, we cater to every couple ensuring a seamless experience leading up to the wedding. Prepare for your big day in comfort at Leoness Cellars all while overlooking the beauty of this vineyard. Leoness Cellars provides spacious suites for the bride and groom the morning of your wedding. This walkway covered in lush green vines and vibrant flowers at Leoness Cellars is the perfect location for your first look. Say “I do” while overlooking acres of vineyards and epic mountain views. Your ceremony site can be transformed with drapes and florals or left as is with its natural beauty. Leonesse Cellars holds the largest barrel room in wine country. We love the unique feel of the barrel room and makes for great reception photos. Check out this couple’s Gatsby theme reception in the barrel room.